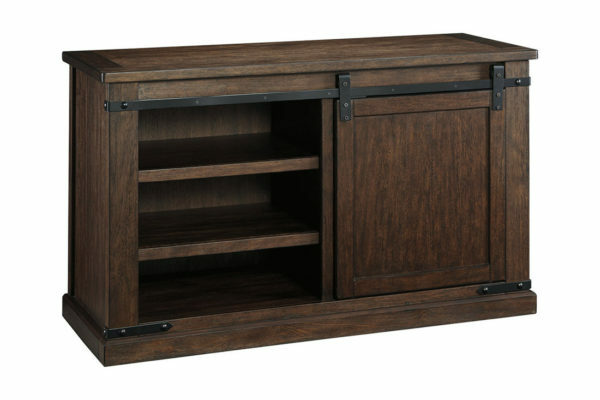 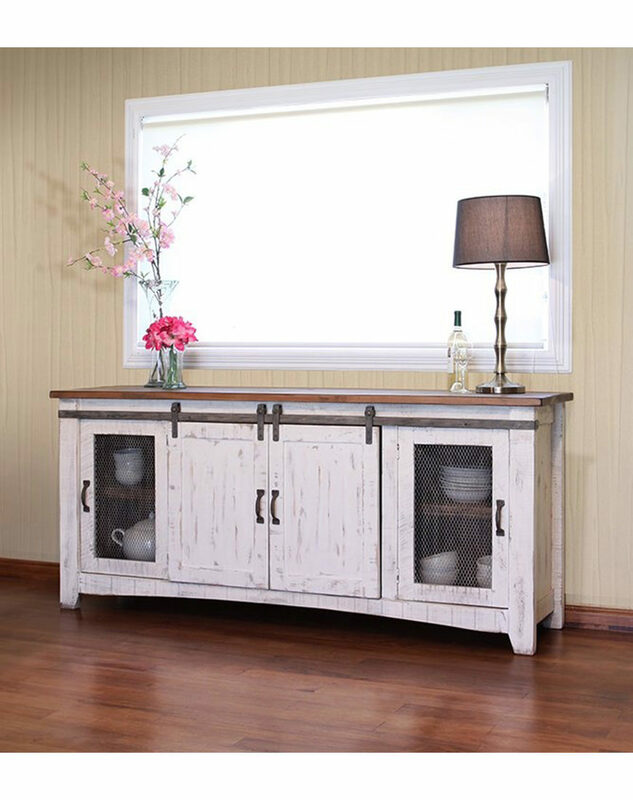 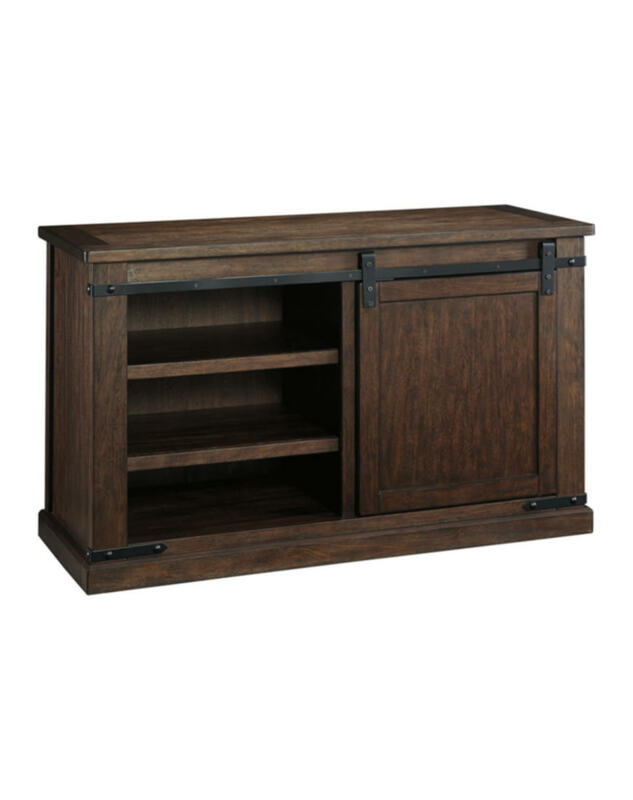 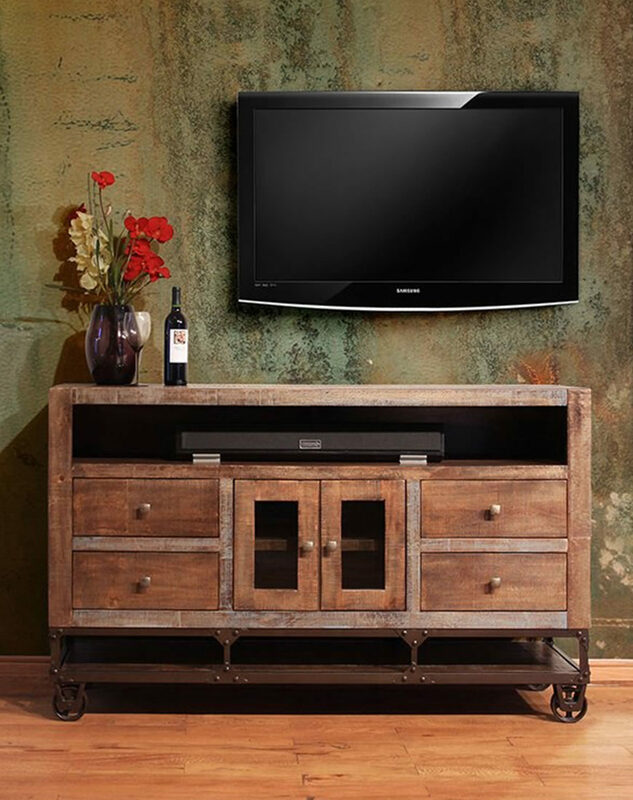 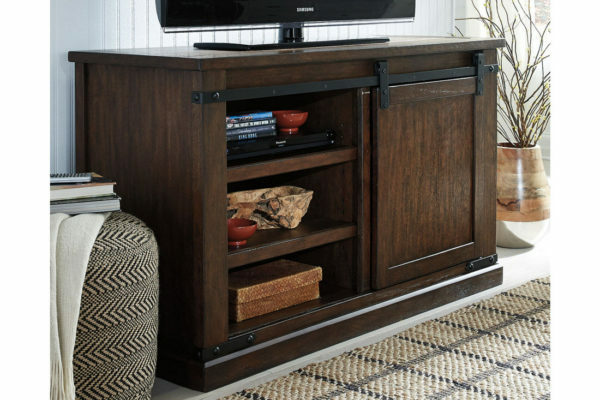 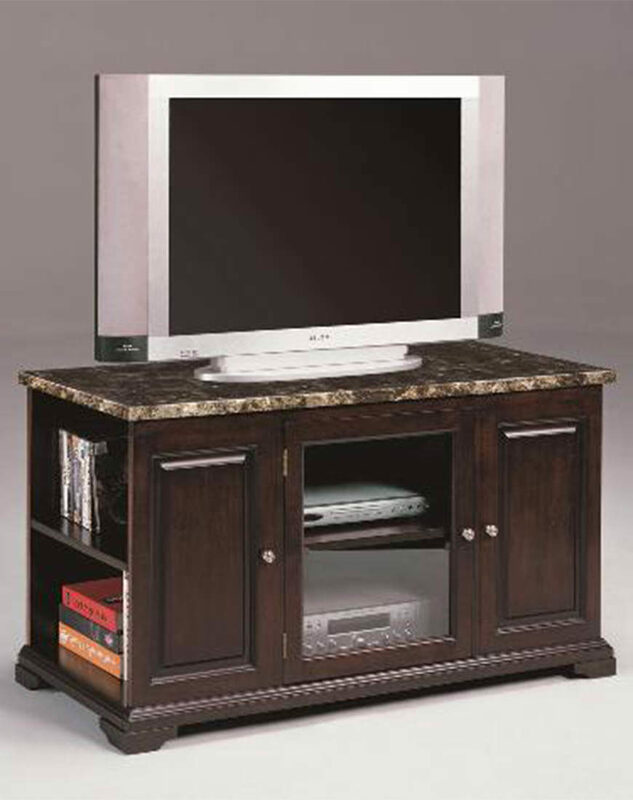 Add a touch of country style to your living area with the Budmore 50″ TV stand. 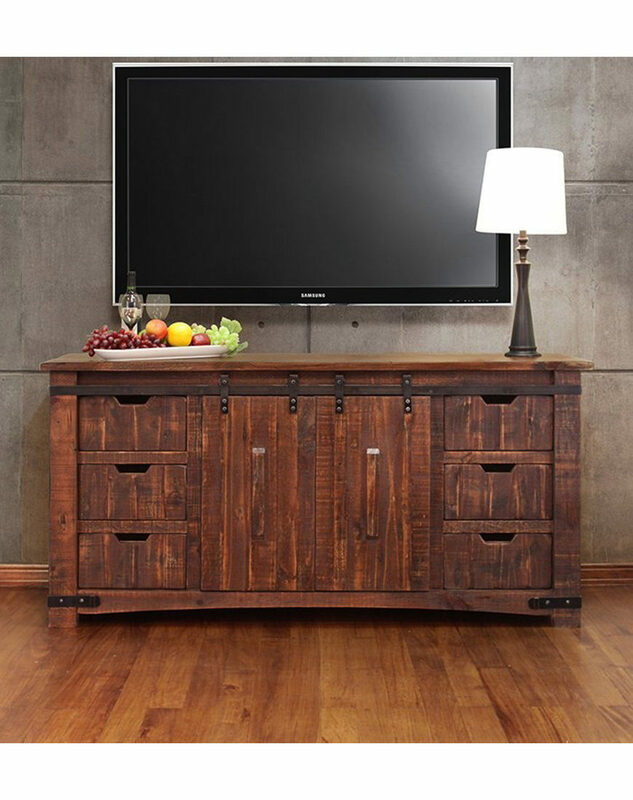 It’s visually appealing with the flexibility you need. 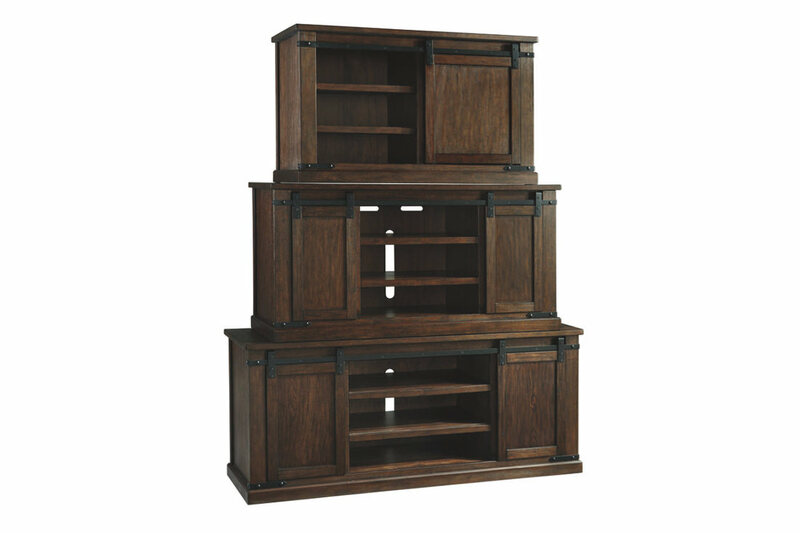 Four adjustable shelves are found behind a barn door that you can easily slide from one side to the other. For an uncluttered look, close up either side of the stand to create a casual feel, great for hiding audio-visual essentials when not in use—what a concept.